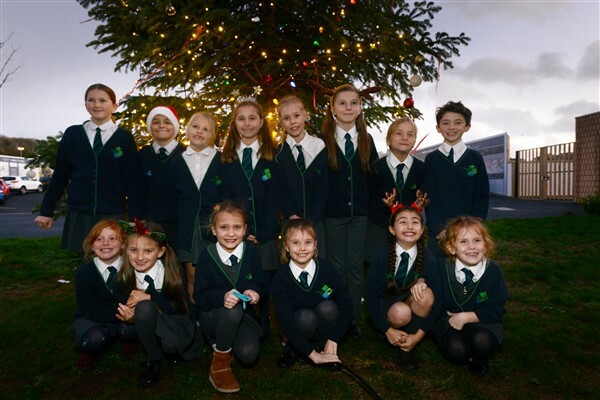 Guests were treated to mince pies and a selection of festive carols from Sherford Vale’s school choir, with headteacher, Helen Tipping, leading the switch on count down. There were further festivities during the afternoon as Sherford Vale also welcomed visitors to its first Christmas school fayre. To celebrate the season of giving, the Sherford Consortium donated £300 to CLIC Sargent, the UK’s leading cancer charity for children, young people and their families. 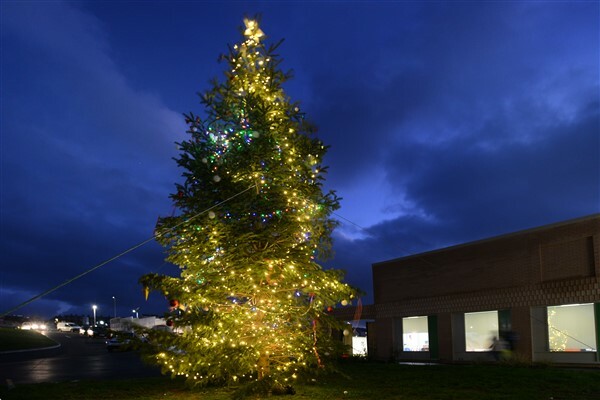 The 30ft Christmas tree was also kindly put in place and decorated by workers from local business YGS Landscapes. Emma Smith, Sherford Consortium said: “The switch-on event is now an annual calendar highlight for Sherford, and it was fantastic to see so many residents and local people come together to celebrate Christmas, as well as donating to an important cause. It is events like these which help to showcase how the new community is continuing to grow year on year, and welcome new residents. 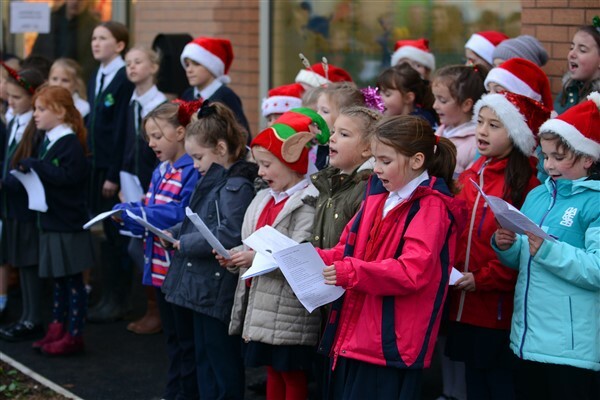 Helen Tipping, Headteacher, Sherford Vale said: “The Christmas Fayre is our first community event at Sherford since the school opened earlier this year, and it was a brilliant opportunity to welcome residents and families to the school - many for the first time. Sherford Vale is located at the heart of the new town, and I was thrilled to see so many people attend and take the opportunity to get to know the Sherford community, neighbours and teaching staff.